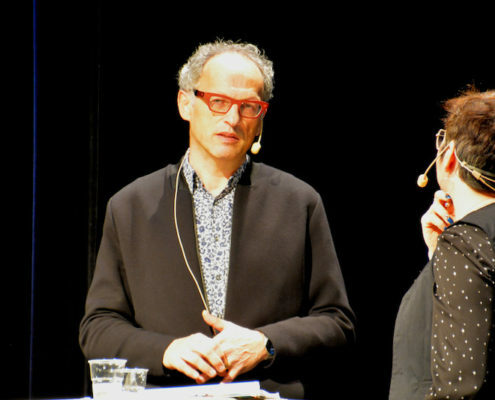 You are here: Home / Blog / lectures / Schrödinger’s cat is alive… in Sweden! 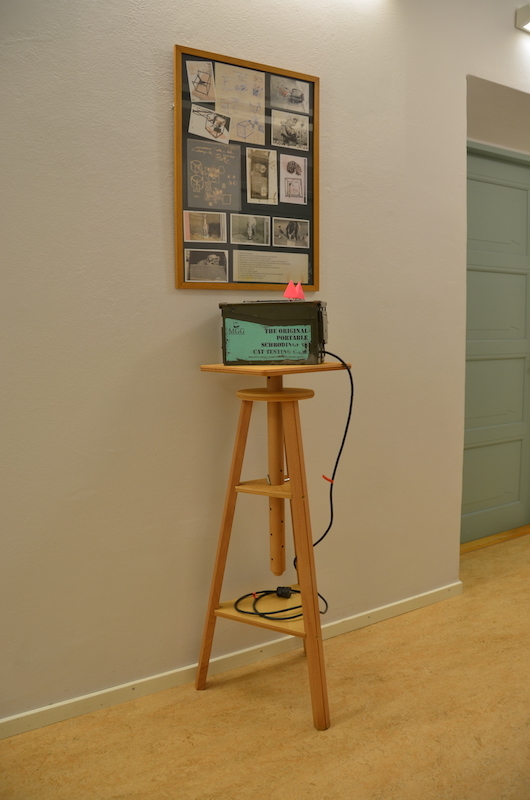 Schrödinger’s cat is alive… in Sweden! 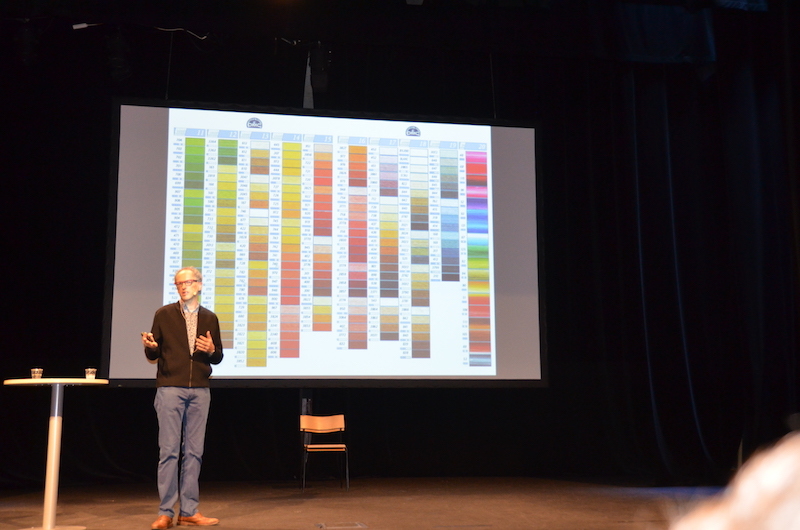 In late October I took the plane to Sweden to participate in the annual AHA Festival. 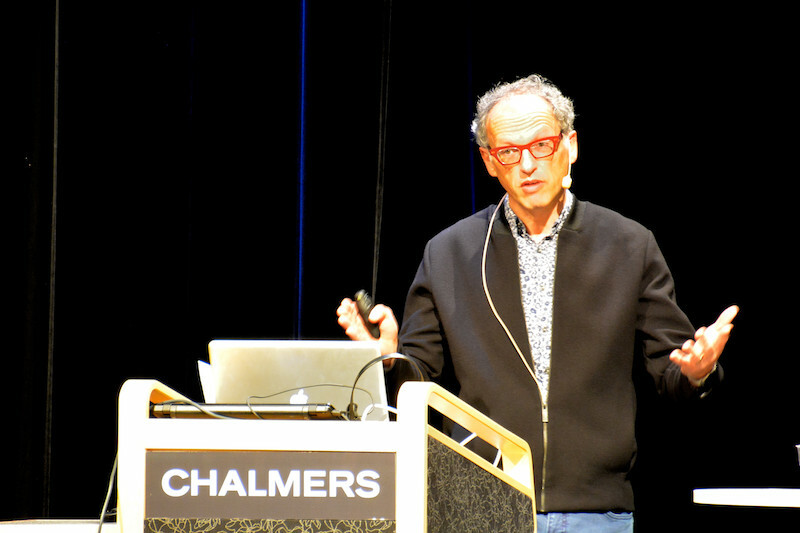 Chalmers University in Goteborg had asked me to create an artwork in which I reconcile art with science. They also asked me to give a talk about my history as an artist and the work I made for the occasion. I took on the challenge with great enthusiasm! 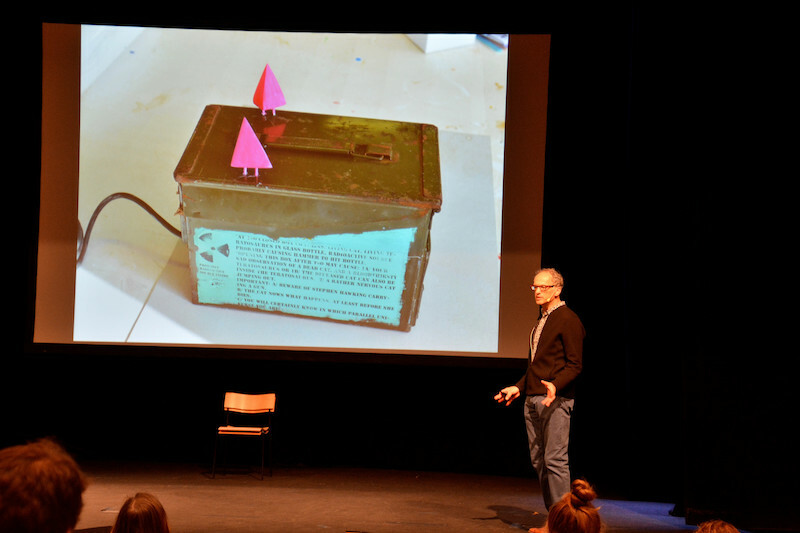 I was asked to participate in the third edition of the AHA Festival, an annual meeting between art and science in an event that lasts three days at the Chalmers University of Technology. It is organized by the department of architecture and the department of physics. 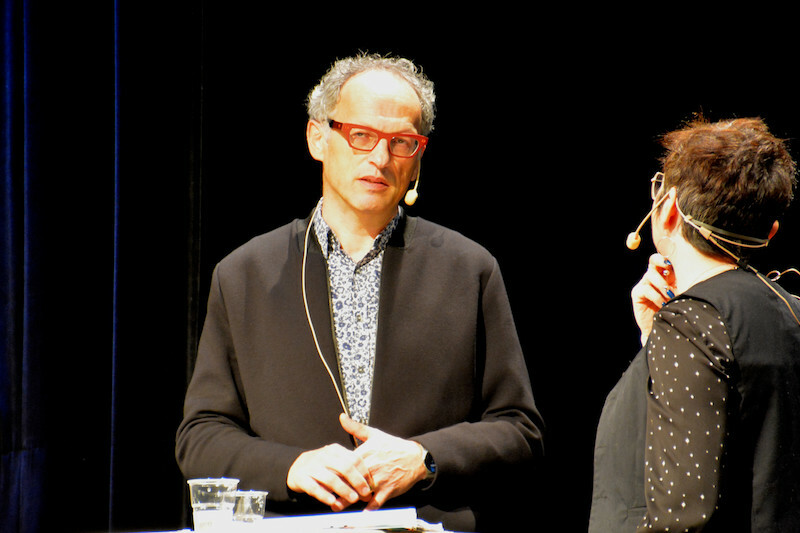 It is an international gathering of scientists and artists who want to share their vision and work with eachother. 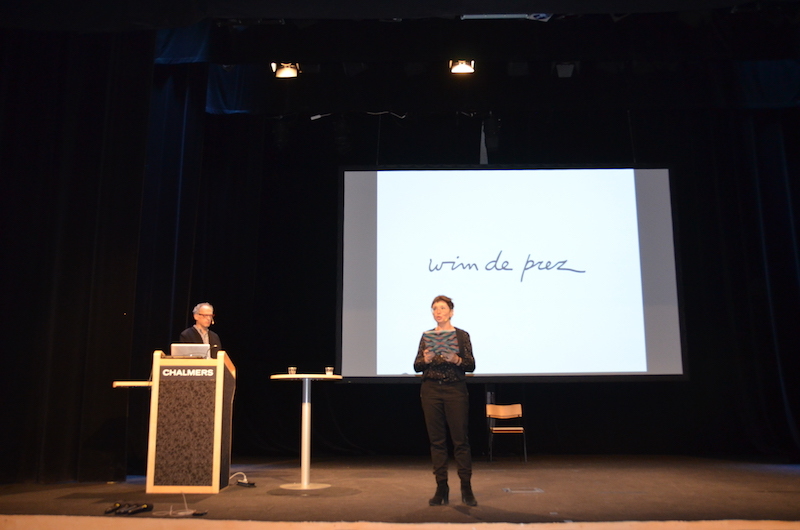 During the second day of the festival, I gave a lecture about my history as an artist. For a half hour I talked about my work as an artist. I started at the beginning of my career and explained step by step how I developed my personal artistic style. 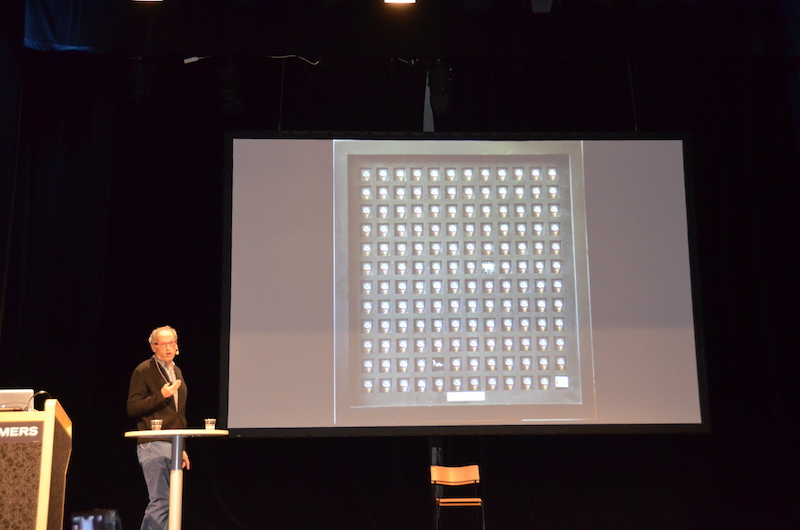 It gave me great satisfaction to meticulously explain to a room full of scientists and artists how my work is created. 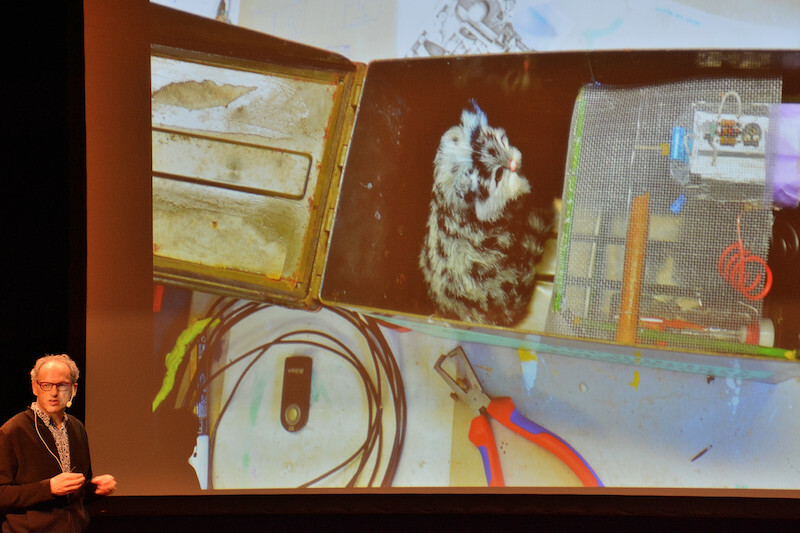 I talked about how I make my paintings and how my sculptures are created. 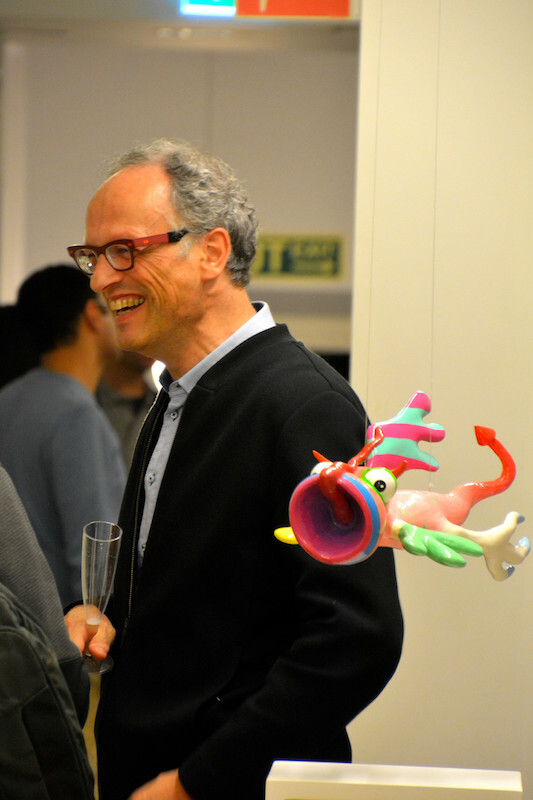 I explained in detail how I use 3D software and 3D printing to produce my imaginative creations in a modern way. 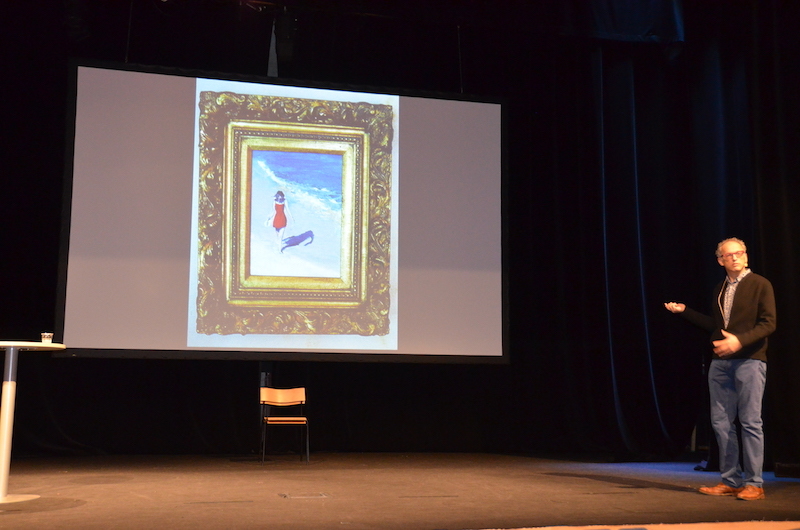 The reason I had come all the way to Sweden, of course, was the piece of art I made for the festival. You can read more about the work itself in my previous blog. 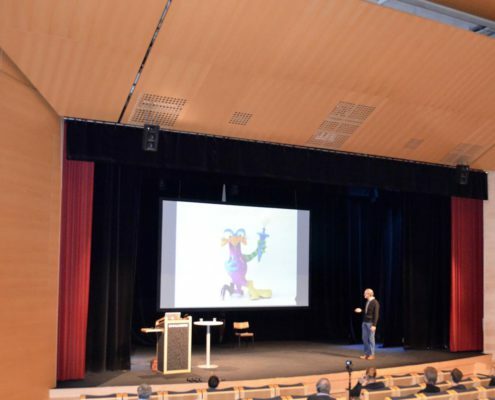 The biggest challenge I encountered in Sweden came when I had to explain how this work came about. The work is an attempt to reconcile art with famous thought experiments in physics and quantum mechanics. 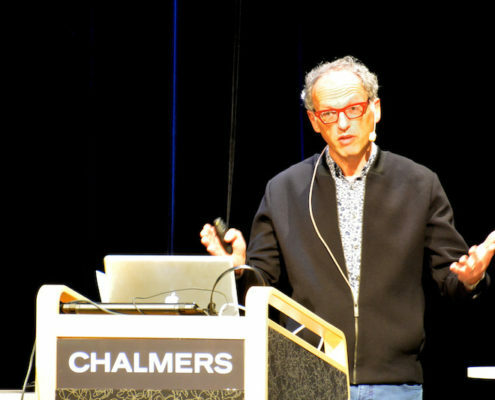 When I was talking about quantum theory, I had to make sure I made no mistakes, since the auditorium was filled with physicists who have studied this matter their whole life. In the end, I succeeded. 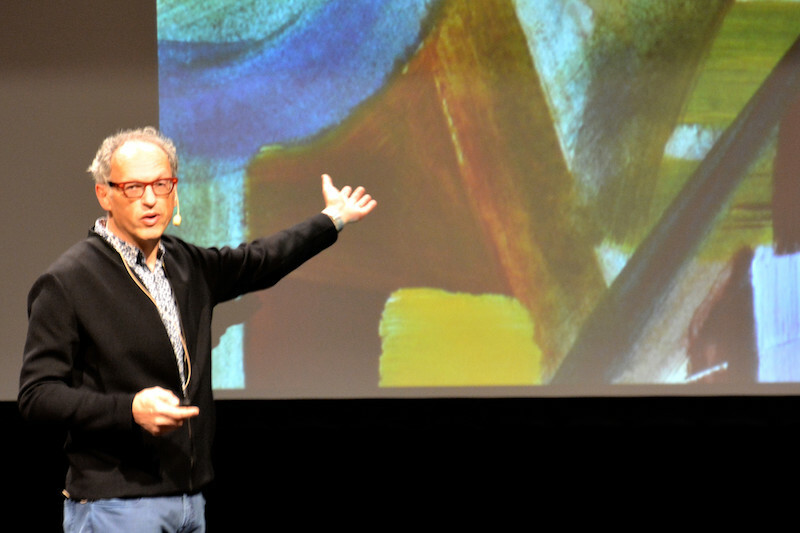 The physicists in the audience found it refreshing that an artist knew so much about physics and the artists were surprised that I could hold my own in this field. Step by step I explained the significance of the works I made for the Festival. I explained my interpretation of Schrödinger’s cat, my realization of Maxwell’s demon and my ideas about the many-worlds interpretation of quantum mechanics. 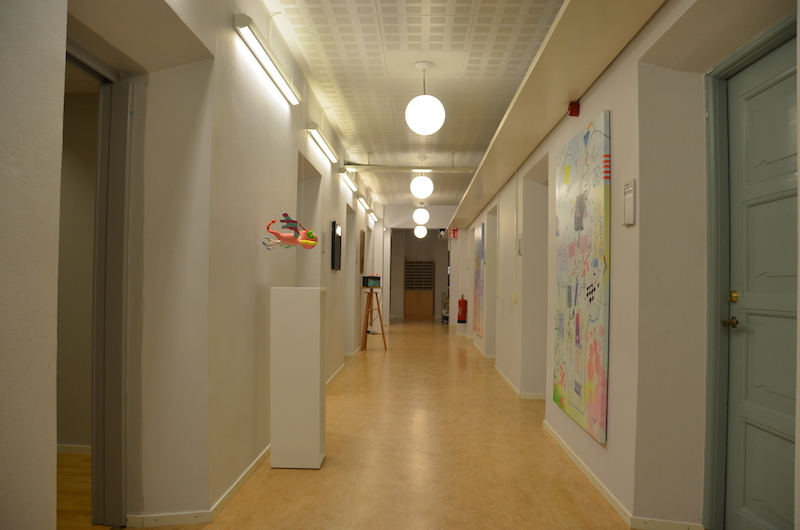 The work I made for the university was installed in a corridor of the department of physics. 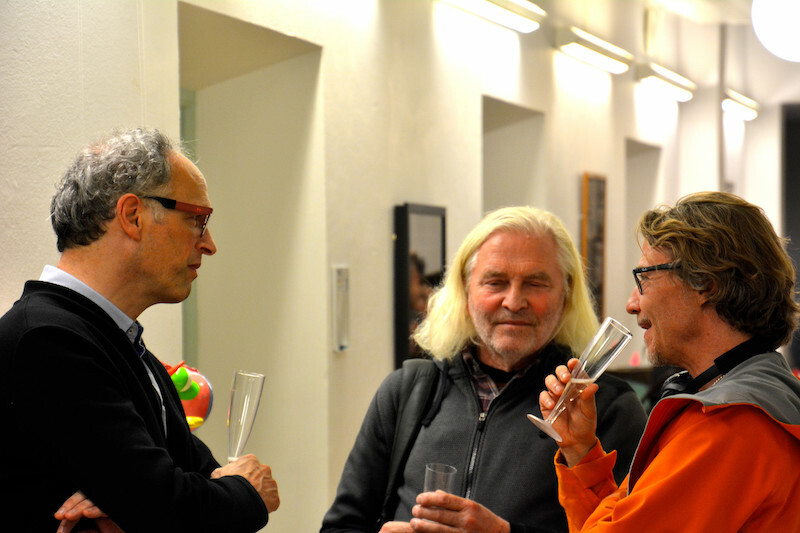 During a reception the work was introduced to the guests of the festival. It was an honor to introduce my work to this group of extremely interesting people. 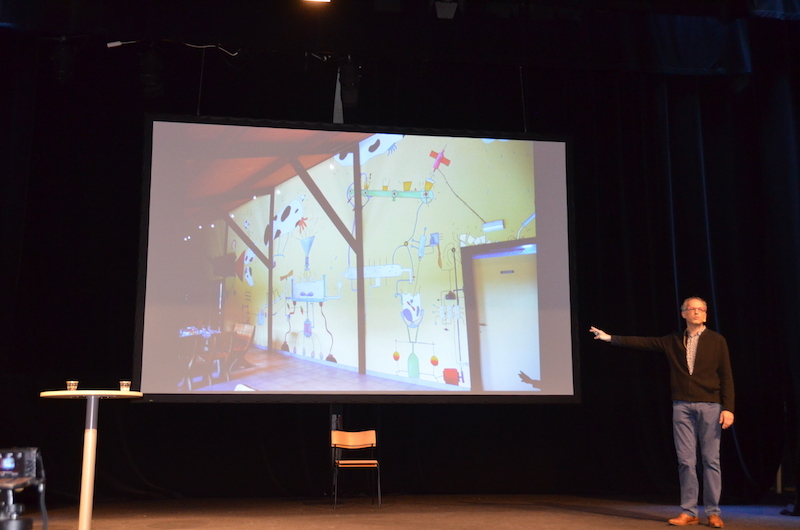 Moreover, I think it’s magnificent to know that my artistic work now lives on in Sweden. The best thing about my stay in Goteborg was that I met many new fascinating people. For example, I spoke with Arthur I. Miller, professor emeritus of history and philosophy of science at University College London. I talked to him about quantum mechanics and my work. I also had a fascinating encounter with Joseph Nechvátal, an artist who uses homemade computer viruses to create digital paintings and animations. Commissioned art can sometimes produce great results. It pushes the artist to explore his limits and discover new creative horizons. 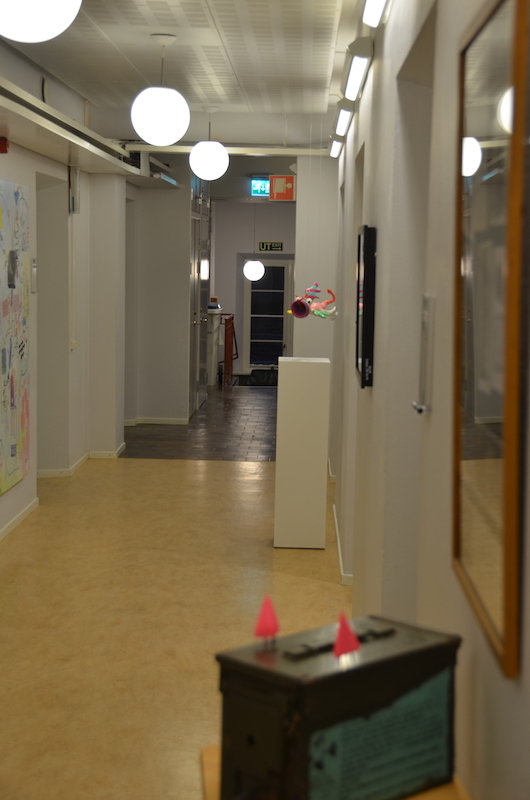 My project for Chalmers University has given my work a significant push in a new direction. You can admire the work in Sweden, or if this trip is a bit too much, you can come to my next exhibition at Gallery Number Four. In the exhibition ‘And Now for Something Completely Different …’, I will reveal works that build on this project. Furthermore, I hope I will get more chances in the future to give lectures. 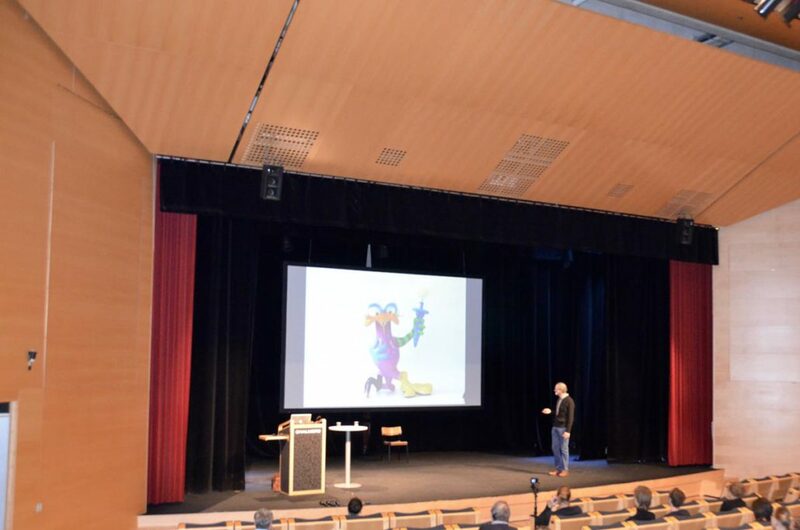 If you are interested in booking me for a lecture, you can always send an email to info@wimdeprez.be. 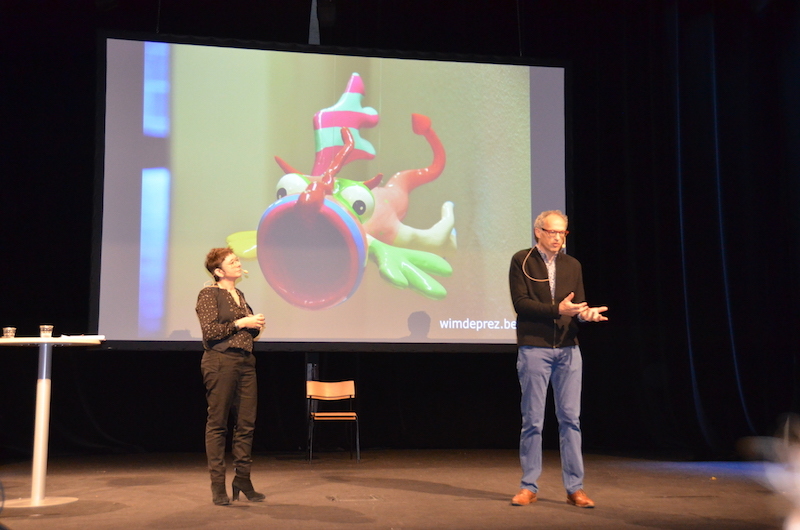 https://www.wimdeprez.be/wp-content/uploads/2016/11/goteborgblogomslagfeatured-1.jpg 550 898 Wim De Prez https://www.wimdeprez.be/wp-content/uploads/2013/06/Wim-De-Prez-Creative-Logo-300x76.png Wim De Prez2016-11-21 15:29:022018-05-08 10:27:49Schrödinger's cat is alive... in Sweden!